for $2,450,000 with 3 bedrooms and 3 full baths. This 2,418 square foot home was built in 1998 on a lot size of 0.144 Acre(s). This elegant custom home looks across Moran Lake to a stunning ocean view. The zen-like setting is tucked away in a peaceful Pleasure Point neighborhood bordering a protected sanctuary. A few minutes stroll to fine stretches of surf & sand. The interior sports a sumptuous great room with Brazilian cherrywood floors, state-of-the-art kitchen with imported Italian marble, a dining area looking through expansive windows to the secluded outdoor patio. The generous upstairs master suite expands the spectacular ocean views with a deck and hot tub, and two large walk-in closets. The master suite is to-die-for! All this is beautifully oriented for a perfect vantage to view the whale migration, frolicking dolphins, tumultuous winter white water, and spectacular sunsets while safely situated across the lake. 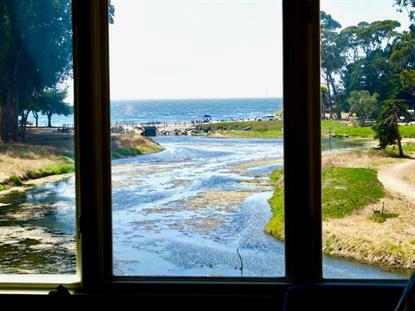 Pleasure Point is the place to be and this home is close to all the vibrant local activities yet tucked away in a secret peaceful neighborhood.